So, after years of nearly getting tickets, not quite being able to face booking 6 months in advance and thus procrastinating, the lovely people at Official Theatre offered me a freebie this week, and I was finally off to Mormon-land. I had high hope for this one – whilst not a South Park devotee, I loved Avenue Q, this show has won award after award and keeps cropping up on ‘best of’ lists… I’ve had the soundtrack since it was released a couple of years ago and had chuckled along in anticipation. There’s no denying it was funny. It’s a big stagey show, with colourful numbers and the desire to shock. The acting was brilliant, with Jared Gertner in particular standing out as the gormless, amateurish but loveable Elder Cunningham. The Mormons and their songs were definitely the highlight for me – the opening ‘Hello’ and the fantastic ‘Turn it Off’ sending up the Mormon culture with a smile hit exactly the right notes and were brilliantly performed by the company. However, whilst I had a good evening, I have no real desire to rush back for a second viewing – maybe by listening to the songs ahead lessened the impact of the more shocking moments, but personally I feel that a really great show will only be enhanced by knowing the material beforehand. The plot was original and definitely made me laugh, but there were too many slightly uncomfortable, cringey moments for my taste… I felt that Avenue Q did a far better job of using the musical form to tell a controversial tale. This felt more like Joseph and the Amazing Technicolour Dreamcoat to me – more concerned about big flashy numbers and being ‘knowing’ than creating something with real value. I would definitely recommend going – this show has become part of musical culture and it would be a shame to miss out on a good evening, but it won’t be going on any of my ‘best ever’ lists any time soon. A massive thank you must go to Official Theatre for giving me the ticket – I would never be able to review big shows if it wasn’t for such gestures as tickets to this size of production just aren’t available to small, independent bloggers like me. Please visit their site for reviews, interviews with the stars and more! 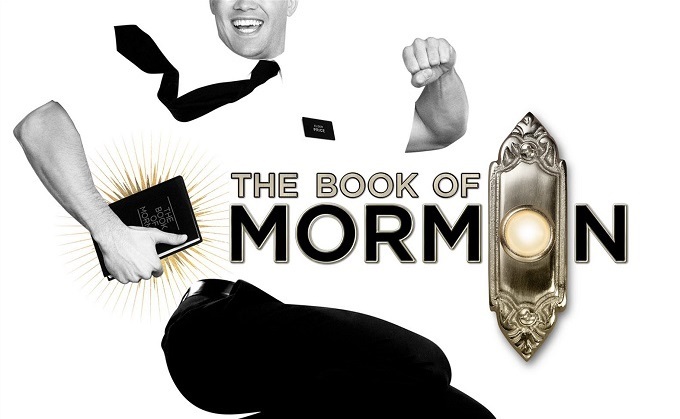 Book of Mormon will be on at the Prince of Wales theatre for the foreseeable future. Book tickets here.